In a few days we as Americans will be celebrating the 241st anniversary of the signing of the Declaration of Independence. As the day approaches I’ll be writing more reflections on what it means even as I intersperse some articles on the Battle of Gettysburg, a victory that helped ensure that the Union would survive and that helped to pave the way for the understanding that the Declaration must be understood in its universal sense. In a day like ours where many localities, states, and even the Federal government appear to be working to limit those rights, often based on the religious beliefs of a powerful, well-funded and militant minority of conservative Christians, this all the more important. Lincoln understood from the reality of war, and the statements of European leaders that the whole concept of a country being founded on a proposition like this, not race, not class, not religion, not station in life, was bound to be opposed, and was incredibly fragile. 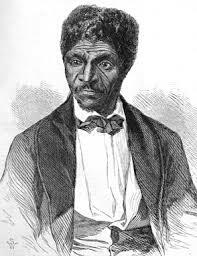 He confronted a rebellion which based itself on the belief that African Americans were less than equal, in fact subhuman and deserving of being enslaved by a superior race. Likewise, there were those in Europe who cheered the rebellion and believed that it proved that such experiments were doomed to failure, a belief that is still widely held, but more often by American elites than others. But like it or not, the proposition that all men are created equal, and endowed by their creator with certain unalienable Rights; a concept so imperfectly practiced by the very men who drafted it and those who followed them, still is right. That proposition was universalized as a political philosophy by Abraham Lincoln, is the basis of all hope for humanity. Tyrants, despots, dictators, terrorists, religious zealots of every sect filled with messianic visions, as well as madmen all desire to trample this proposition. Some desire to believe that those rights can simply be maintained by the power of a Constitution, but unless the people who swear to uphold that Constitution are dedicated to the proposition that all men are created equal that very Constitution can be perverted and used to enslave people, as it was by the men who drafted the Kansas-Nebraska Act, the Fugitive Slave Laws, and the Supreme Court decisions in Dred Scott and Plessy v. Ferguson cases ruled that African Americans were less than equal as human beings, and therefore not entitled to the same rights and liberties as were white people. It is the same constitution and laws that were used to deny citizenship and rights to Chinese immigrants until 1942, that were used by the government to interment native born Japanese American citizens in concentration camps during the Second World War, which drove Native Americans off their ancestral homelands, massacred them by the tens of millions, and placed them on reservations without any rights of American citizens until 1924; and which denied suffrage to women until 1919, and denied basic civil rights to LGBTQ people until recently; rights that in many states are still denied by state legislatures. But without equality, freedom is an illusion. That is why the proposition in the Declaration which was universalized by Lincoln in the Gettysburg Address is still of the utmost importance. It is why it must be fought for, especially when politicians like Donald Trump and others threaten its very existence, and whose followers see it as only as Liberty for themselves and their interests. That proposition is under duress today, there are millions of followers of Trump and the demagogues who would deny Liberty to others based on race, religion, ethnicity, economic status, gender, or by them being LGBTQ. But, Liberty is a perilous thing, but once that proposition of Liberty dies in our hearts, there is nothing that can save it, no constitution, no law, no court; and those who place their trust in it the demagogues will find that they will eventually lose their Liberty as well. In 1858 Lincoln spoke in Chicago, and in that speech he linked the common connection of all Americans share, even recent immigrants, through the Declaration. It was an era of intense anti-immigrant passions, the American Party, which sprang from the Know Nothing movement which founded upon extreme hatred of immigrants, and Roman Catholics, and violence against them, had run former President Millard Fillmore for election as at their candidate in 1856 following the collapse of the Whig Party. As a historian I cannot get away from this. Whether it is in my study of European history, particularly the Weimar Republic and the Nazi takeover, or the American Civil War, especially the times I visit the Soldier’s Cemetery at Gettysburg and talk about the Gettysburg Address with my students. The breadth of my experience, having visited Dachau and Bergen-Belsen, having watched the unadulterated adulation of crowds of Germans chanting Sieg Heil!, having grown up in this country at the height of the Civil Rights Movement, and having walked so many battlegrounds where American men have died fighting such tyranny makes me all too sensitive to why this proposition is so important. 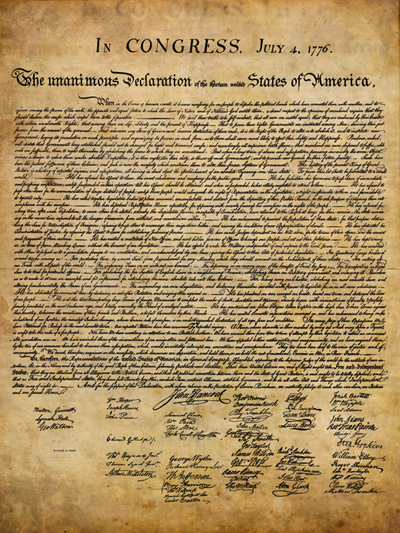 For me it is this proposition, the proposition mocked by the elites of Europe, the proposition that any republic founded on such a proposition was doomed to fail, this proposition that says “we hold these truths to be self evident that all men are created equal” is what Independence Day is about. That is why in my remaining service to this country I will rededicate myself to seeing that “new birth of freedom” is fulfilled for every American. That may seem a pipe dream to some people, and even impossible to others; but it is what far too many of the men and women who served before me gave the last full measure of devotion to duty to bring to fulfillment. Learned Hand was right, if Liberty dies in our hearts, no law, no constitution, no court, can save us. Have a great Independence Day and please remember it is not about the day off, the picnics, or displays of military might, it is about that proposition; the one that is so easy to forget, the proposition that all men are created equal. 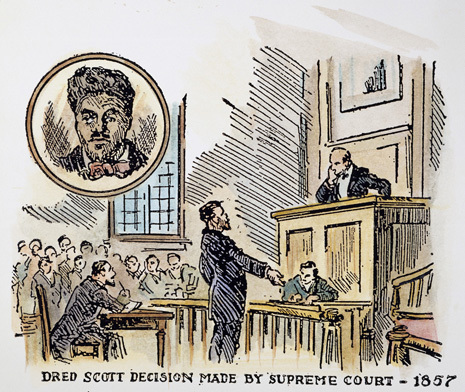 Another article from one of my Civil War texts, this one dealing with the infamous Dred Scott decision. That decision, made by a Southern dominated, Supreme Court, members of whom included number of slave owners, done in collusion with President Elect James Buchanan, declared that African Americans had no right to citizenship, thus no protection under the law, no-matter where they lived. It would not be overturned until after the Civil War when Congress passed the 14th Amendment, an amendment that is vital for all of our liberties. Again, for those in denial about how we got to this point in our history, this is not a comfortable subject. But Buchanan attempt at appeasement was mistaken. The case made the national political situation even more volatile because it destroyed the political middle in Congress which had previously found compromise. 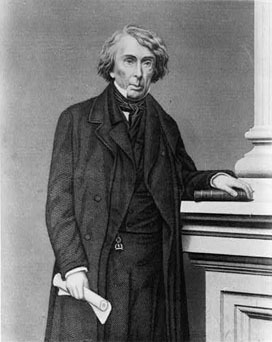 Taney’s decision impaired “the power of Congress – a power which had remained intact to this time – to occupy the middle ground.”  The Dred Scott decision was far reaching in its implications and Taney declared that Congress “never had the right to limit slavery’s expansion, and that the Missouri Compromise had been null and void on the day of its formulation.”  Taney’s ruling fulfilled what Thomas Jefferson wrote when he noted that the Missouri Compromise was merely a reprieve from the broader ideological and economic issues involved regarding slavery, and Taney destroyed that reprieve with the stroke of his pen.